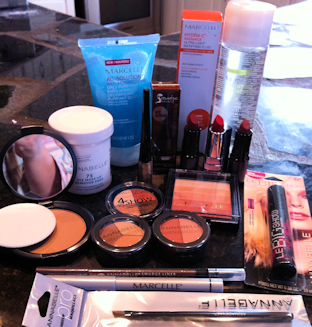 You Are Here Home » Review & Giveaway » Beauty & Fashion » Great MakeUp Prize Pack from Marcelle Cosmetics!! 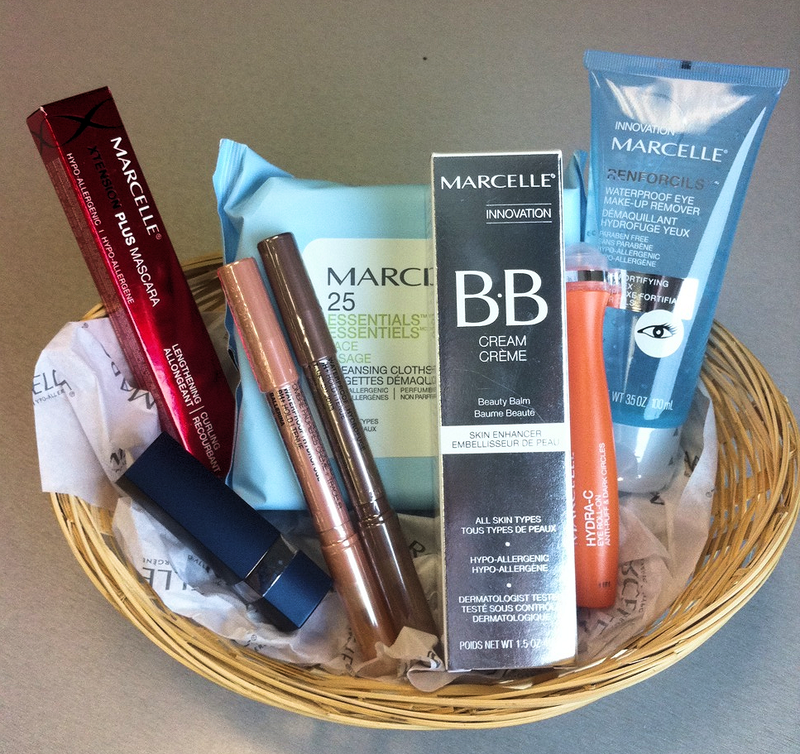 Great MakeUp Prize Pack from Marcelle Cosmetics!! I am very excited to share this article with you all! I’d been feeling the February blues lately but the Marcelle Cosmetics & Annabelle Cosmetics have come to my rescue! There is nothing that beats feeling down like feeling beautiful and I certainly felt wonderful after spending a few hours playing with these goodies I received. If you’re a woman in Canada chances are you’ve spent time in a store browsing the fabulous products from Marcelle & Annabelle. These products have been around for quite a while, I’ve personally been using them since I was a teenager. For years I looked forward to going to the department store and leisurely spending time brushing all the new colors onto my skin. “Canadian women’s trustworthy beauty partner for almost 75 years, Marcelle is the cosmetics and skin care brand that offers every woman high quality, effective and affordable products. Hypoallergenic and perfume-free; women of all ages believe in Marcelle products. What’s Marcelle’s motto? To offer a wide choice of skin care and cosmetics products that satisfy the needs of today’s women on the go – everyday solutions that let her be simply beautiful inside and out at every stage in her life. “Annabelle is a little nice, a little naughty and lots of style. Of course after opening the package I occupied my children with a craft and headed into the bathroom to try them out. First I applied the SkinTrue Pressed Powder – Medium first which went on beautifully. It provided me with a light full coverage but was light on my skin and didn’t wear off quickly. For my eyes I went with the Trio Eyeshadow– Crème Caramel which gave me a soft velvety day-time look. The colors were perfect for me, I’m not a skilled artist when it comes to my eye makeup but I loved the how-to videos available on the Annabelle website. Marcelle’s 2 in 1 Retractable Eyeliner went on beautifully, even with my poor eyesight I was able to achieve the look I wanted and was complimented well by Le BIG Show Mascara – Black. The Duo-Blush – Glow Show matched my skin tone well, I loved that it was light upon my skin and accentuated my cheekbones softly. Finally I fell in love with Rouge Velours Lipstick – Adrenaline – 210, it’s become my staple makeup item and never lets me down! Realizing it was only 4pm and I wasn’t going anywhere I decided to try out the Moisturizing Eye Makeup Remover Pads, frankly I was surprised! They were so effective, removing all of the eye makeup I’d applied in just a few strokes. These little pads have saved me so much time when I’ve wanted to reapply my eye makeup throughout the day! If you’d like to purchase products from Marcelle or Annabelle please head over to their website or your local retail store. One lucky Canadian reader doesn’t have to leave the house,Marcelle Cosmetics has teamed up with me to giveaway an amazing prize pack! To enter please fill in the Rafflecopter form below, it may take a moment to load. Open to residents of Canada, winner will be announced Feb. 17, 2012 and will have 48 hours to respond via email. In the event the winner doesn’t respond within 48 hours an alternate winner will be drawn. looks like a high quaility beauty products. dying to try the BB cream from Marcelle and i already LOVE the Annabelle Smudgepaints! I really want to try the BB Cream! Marcelle sent me their BB cream to review and that was it – I absolutely fell in love with it and even though it’s a BB cream, it’s completely replaced my Laura Mercier hydrating foundation which at the time I didn’t realize how heavy it was on my skin. I have eczema prone skin, so Marcelle is the only products I can use on my face right now, which is why I contacted them to see if I could use their BB cream lol. Yay! Thanks for the giveaway, this is great! I would love to try the Wet & Dry Eyeshadow – Amazone by Marcelle. The BB Cream! I’ve been hearing so much about it lately (all good). I’d love to try their new eye remover gel, I already love their other eye remover! Would love to try the powder foundation from Annabelle. I want to try the Marcelle cleaning clothes. I definitely need to try the Marcelle BB Cream and the waterproof eyeliner! Cheers and thank you for the giveaway. I would like to try the oil free multi defense lotionspf 15 from marcelle. I would like to try the new Marcelle BB cream to see if it really works! I would love to try the Marcelle Renforcils Waterproof Eye Make-Up Remover. I’d love to try the Oil Free Matte Finish Make-Up foundation. Wet and Dry eyeshadow for me!!! I actually saw the display of the Marcelle Lux cream shadow & liner at SDM, and fell in love with the Taupe de Jour shade. Such a beautiful shade and it was hard to remove (I had to walk around with the swatches on my hand. I would like to try marcelle’s Hydra-C 24H + SPF 15 Moisturizing Cream. would love to try the Marcelle BB cream! Been wanting to try a number of the Marcelle products – BB cream has got to be the favourite. I would love to try Marcelle’s new BB Cream! I would love to try the Annabelle Smoothie Eyeshadows! I would love to try the extensions mascara from Marcelle. I’d be really interested in trying their new BB cream. Would love to try the Marcelle BB cream. I looked at asian versions before on Ebay but would feel so much better trying a domestic product! 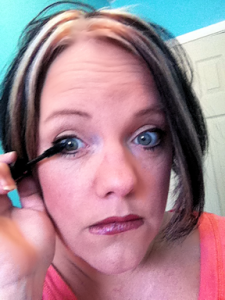 i would love to try annabelle le big show mascara in black or the mineral pigment dust in solar or prism! Eyes are definitely windows to the soul. Accentuate with my pics – 4SHOW Eyeshadow by Annabelle and Lux Cream Eye Shadow & Liner by Marcelle. Combination MEMORABLE. Id love to try the Marcelle Xtension Plus Mascara! I would like to try Marcelle BB Cream. Marcelle BB cream looks very interesting! your eyes look beautiful Julie. I’m off to check out those videos! I have only heard of the new BB cream and am looking forward to trying it! 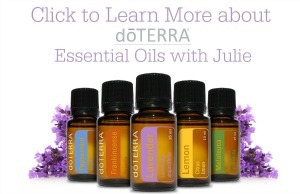 Great selection of wonderful products — use them all! I would like to try the cleansing care skin care products. i am definitely falling into this ‘BB cream’ rave! I would love to try one out for the first time and Marcelle, being a canadian company, gives great reassurance that the product will be great! I would love to try the Marcelle BB Cream because I’ve eard so much about it lately. I want to see what all the fuss is about. Thanks for this amazing Giveaway. I would love to try the Annabelle Mineral Pigment Dusts. I would love to try the Annabelle Volumlip Lipplumping Gloss. I would love to try the Lux Cream Eye Shadow + Liner – Ballerina shade. I did swatch on my hand the other day and its a gorgeous color! I would like to try the Marcelle Oil Free Matte Finish Make-Up. I’d like to try the New•Age Anti-Wrinkle + Firming Night Cream! I would like to try Annabelle’s Skin True Concealer. I’d like to try 1st Wrinkles Eye Contour Cream by Marcelle. Le big mascara. Thx for the giveaway. I like the Wet & Dry Eyeshadow Quad – Tropics. I already love Marcelle so this’d be great to win! oh!! i would so like to try the new Marcelle BB cream and Marcelle Cleansing Cloths!! these must be really good products!! the BB cream is actually what i would LOVE to try! I’m dying to try out the new BB Cream! I would love to try the Hydra-C Ultra-Light Matifying Fluid! I really want to try that BB Cream that everyone is talking about.